A few years ago we started the tradition of letting the boys make their own "gingerbread" houses. 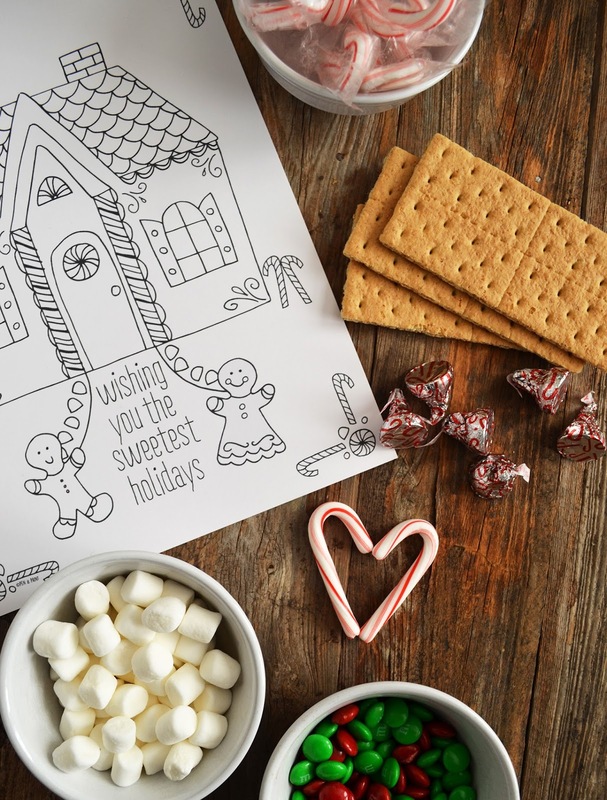 We pick out our favorite Christmas goodies, hot glue graham crackers in the shape of a house, and have fun eating treats while we decorate. This year I thought it would be fun to make a coloring page for the boys to enjoy as well, so I'm sharing it with ya'll! 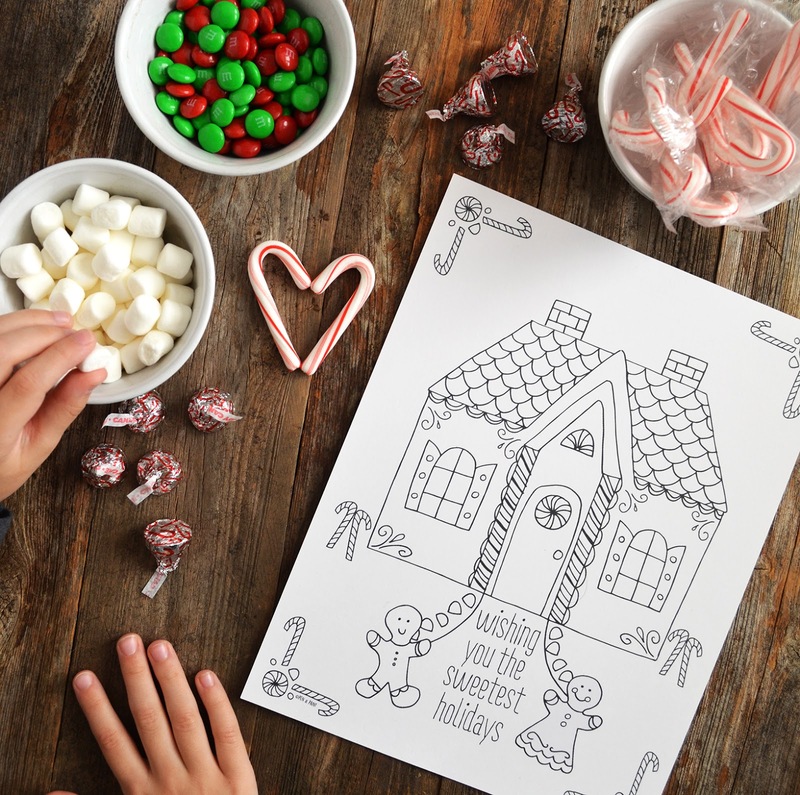 You can print the gingerbread coloring page here. From the Pen & Paint family to yours, we wish you the *sweetest* of holidays!